Aaron is a blogger, award winning middle school teacher, and fierce public education advocate. Aaron brings his experience in union and community organizing to bear in his work with Fertile Ground. He is passionate about workers’ rights to grieve, strike, and collectively bargain. He is overjoyed to be a worker-owner of Fertile Ground, a cooperative that understands the value and sanctity of all labor. Aaron believes in the possibility of a post-capitalist economy that does not exploit the planet and does not benefit the few at the expense of the many. Brittany has been a member of Fertile Ground since 2015. Brittany works on our route team as well as our compost sock crew. Brittany worked for 10 plus years as a youth leader with Closer to Earth, a nonprofit youth group empowering teenagers in Oklahoma City, and surrounding areas, through personal mentorship, organic gardening, and environmental and food justice advocacy. Courtney Hurst works on our sales team focusing on commercial and residential compost and recycling pick up as well as selling our compost filter socks for erosion control. Courtney is a woman who wears many hats. She is an organic hairstylist, yoga instructor, political organizer, and she works with Natural Awakanings Magazine's Environmental Stewardship Award to recognize and show appreciation for fellow earth friendly businesses and organizations. She loves people and the planet that we all live on and strives to do her part to keep it happy and healthy. Darci started working with Fertile Ground in the winter of 2016, and became a worker-owner in the spring of 2017. Darci fills several roles including office management, AP/AR, and bookkeeping. She has been an avid supporter of the co-op since it started and considers it an honor to have watched Fertile Ground grow as the people involved seek to provide fair and sustainable work through services that aim to improve environmental sustainability. She enjoys spending time with her family, volunteering at her kids’ school, and also watching The Flash, Supergirl, and Arrow in her very small amount of free time (confidently admitting that she has become a comic fan in her adult years due to the influence of her nephews). While life is busy with 3 kids, she tries her best to remember that the days may be long but the years are short. J serves as a route driver and compost sock production manager. J shares about their life and work with Fertile Ground, “I enjoy the ability to have a direct influence on the vision, standards, and financial success of my workplace. I enjoy working with folks who practise sustainability and solidarity and who value integrity and cooperation. My family and friends live amongst the hickory/oak forests near Luther on stolen Kickapoo land. We acknowledge that our property ownership is based on the genocidal activities of the settler culture in which we belong. We live simple, principled and intentional lives valuing biodiversity, autonomous collectivity and self-resiliency. I offer dedication to mutual aid and solidarity to my allies and fellow Worker-Owners." Marissa/Boom has been a part of the Fertile Ground family for 3 years. Boom operates our bicycle-powered compost collection service and executes zero-waste events. Boom states, " I believe in living life through a series of daily mindful acts, finding discipline in the truths about myself and how I co-exist with the world. I feel it is important to challenge the social constructs we as humans have built into our societal structure. They only act as constrictions on our minds and hearts, and bring harm to the environment, eco-system, and world as a whole. At Fertile Ground I strive to change perceptions on self-limitations of living a sustainable and mindful lifestyle. Our lives are never to be lived perfectly, but with purpose, and conscious effort of these ongoing dialogues." Stefan is our Social Media Coordinator. 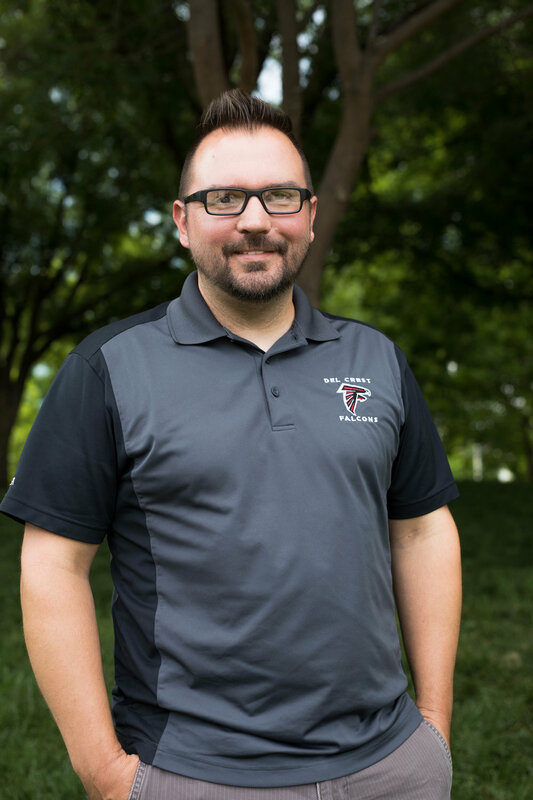 Originally from Harrah, Oklahoma, Stefan relocated to Tucson in the winter of 2017. Prior to moving to Arizona, Stefan worked with Christian Peacemaker Teams in Iraqi Kurdistan, as wells as traveled on delegations to Colombia and Grassy Narrows First Nation (Canada). 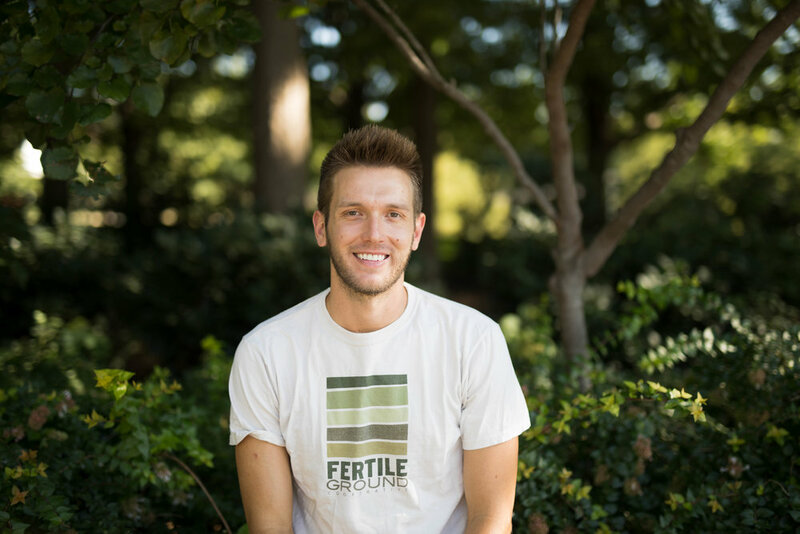 Stefan enjoys hiking, coffee, and supporting social movements for change. Terry is a founding member of Fertile Ground. He oversees day to day operations of the cooperative. Terry is passionate about environmental sustainability and the development of more worker cooperatives in Oklahoma. He volunteers as Community Garden coordinator and congregational organizer for VOICE (Voices Organized In Civic Engagement) at Joy Mennonite Church. Terry is also on the planning team of the Oklahoma Compost Conference and serves on the Green Team for the Oklahoma City Festival of the Arts. Terry enjoys spending time outdoors, playing music with friends, and volunteering as soccer coach at Edgemere Elementary. More than anything Terry loves spending time with Darci and their 3 kids, gaming with Callum, crafting with Sydney, and playing Lego’s with Finn. We believe spam is best left in the compost bin. We will keep you informed without bugging you too much.